Lorna, Marian and I met up at Tian Shi Fu Restaurant on a week day evening. We love to catch up with one another every other month whenever possible. 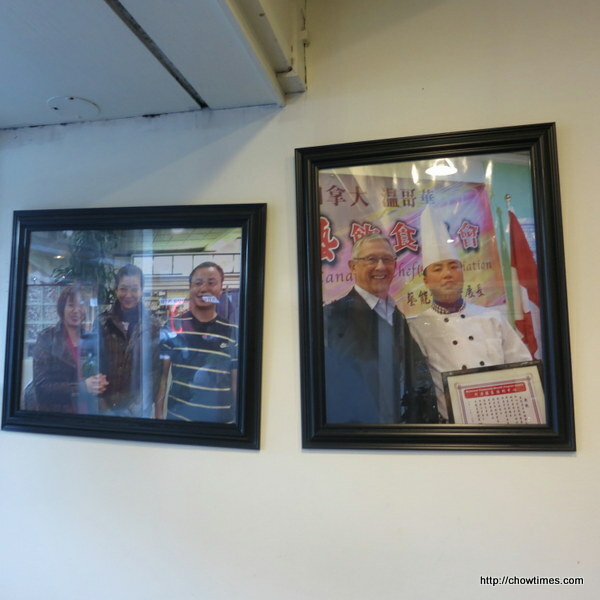 There are some photos of celebrities and award winning photos at the entrance way into the restaurant. 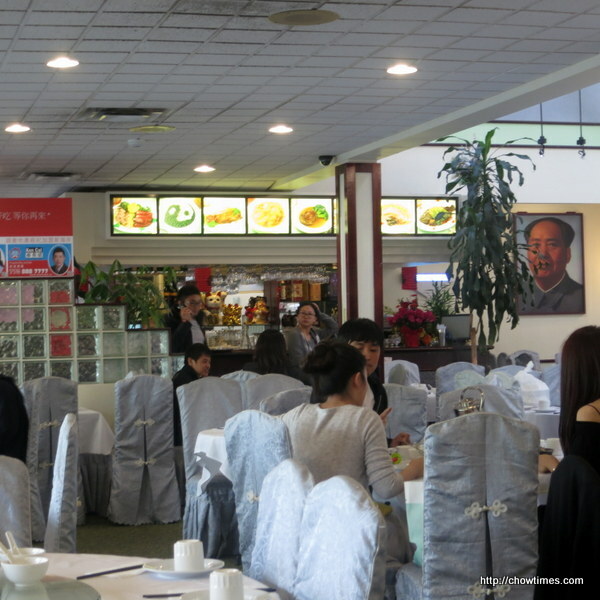 I presumed this is a Hunan restaurant as chairman Mao’s photo is hung high in the restaurant. It was not busy at 6:30PM but it quickly filled up. 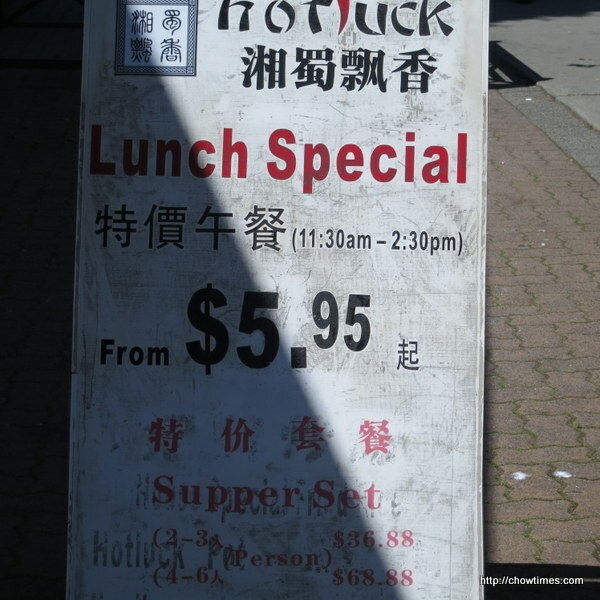 Ben suggested to have lunch at Hotluck in Burnaby on a Saturday afternoon. Both the boys did not want to join. So, it’s just both of us. I guess that we will have to get use to such setting as our boys have grown up now. Ben said, Hotluck is usually pretty quiet on week days during lunch hour. The lunch special here are mostly noodle dishes. Wanted something spicy for lunch today. Was thinking of Spicy Cumin Lamb on Rice. Some thing I like very much from S&W Pepperhouse. This time I thought I’ll try the one in Alvin Garden. 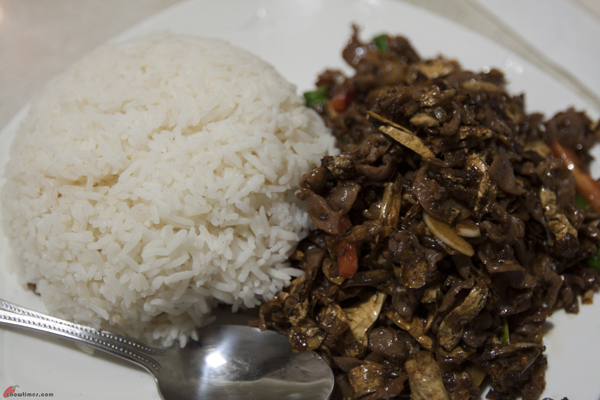 The Cumin Lamb on Rice is a lunch special. Just $7.98. All other dishes are cheaper. $6.98. But I want Cumin Lamb. 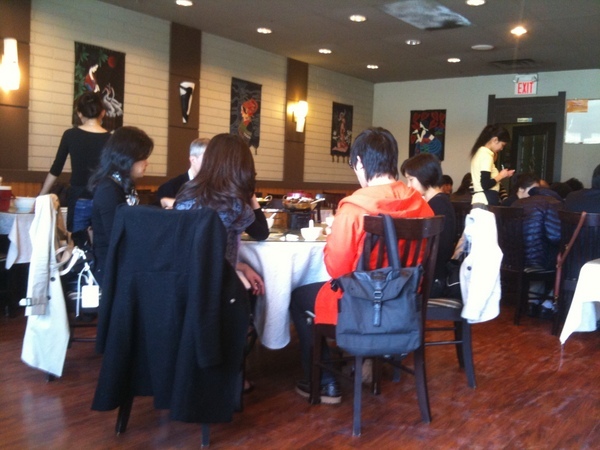 Busy lunch crowd even though Alvin Garden is quite a bit away from the lunch resto actions around Metrotown. This place is chili heaven. You cannot take hot spicy food, stay away. 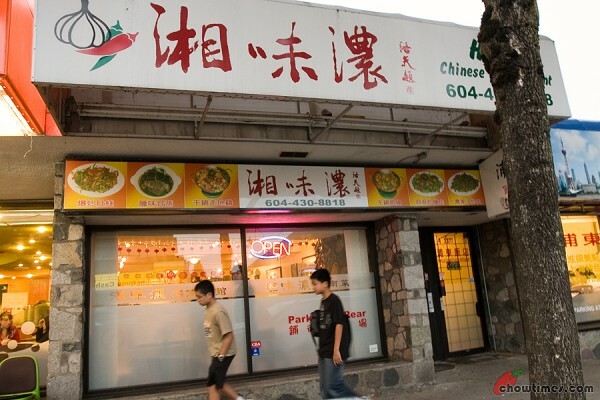 This is considered the best of Hunan cuisine in Vancouver. I said “DA LA!”. She laughed. Could see her crooked teeth but she is sweet. Hehehe … need braces? Some of you will remember that I posted about Luckynoodles about two weeks ago. In that post, I wrote about Luckynoodle which is located in the very spot that had a high turnover of restaurants over the years. But I was also quite excited about Luckynoodles too. I don’t normally go back to a restaurant twice but with Luckynoodle I did. 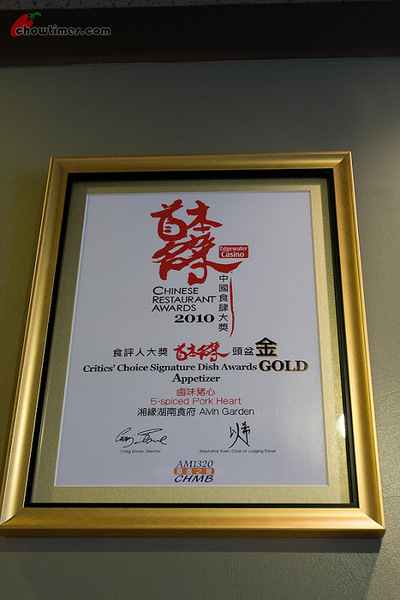 I really enjoyed their Hunan cooking and also was amazed that their lunch specials are so cheap. After I published the blog post about Luckynoodle, a number of people went to to Luckynoodles and gave us their feedback … all of which was positive … and I was not surprised. I wanted to go back to Luckynoodle to try their other specialty dishes which they wrote on the board. And their menu too was extensive. 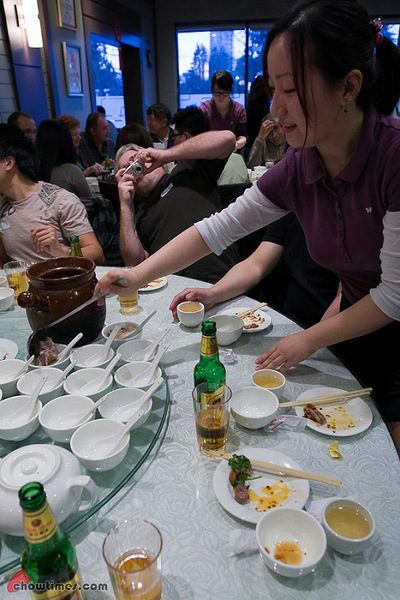 Well, there is only one way to try their dishes … I have to make up one table so that we can order many dishes. I can’t do that with just the four of us in the family. Moreover, our two boys doesn’t really fancy dining out this way. “Chau Choy” is what we call it … I mean communal style. They are strange. I know they always enjoy dad ordering dishes and eating them communal style but yet every time I said we are going to have “chau choy”, they will say no. They prefer to have their own individual dishes and not have to share. I think they protest for the sake of asserting themselves. I know they like communal style dining because dad has a knack of ordering nice dishes. So I wanted to gather enough people to fill up a table — at least 10. We got 21 instead. So it was two tables. This is not one of those run-of-the-mill Chinese dinner. The dishes we chose were peppered with words like ears, kidney, lamb, bamboo shoot, white chili, gizzards and stuff like that. So we started with getting 3 appetizers while we go over the menu proposed by me. The chef too also reviewed the menu and pretty much agree with our selection … so we are in good hands there. We also added one more dish based on popular demand. So THIRTEEN dishes! 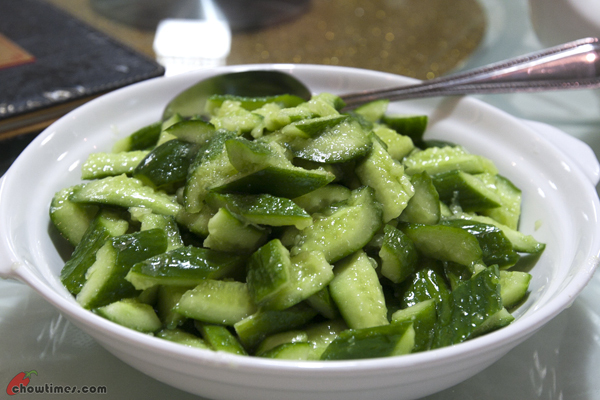 The first appetizer was the Cucumber with Garlic which is cool, crunchy, garlicky, lightly salty. Someone remarked that it is not smashed and that traditionally it should be smashed. Instead this was cut which makes it a bit more prettier. Traditions vs aesthetics — do you have any preference? Me, I go with tradition. Have you come across any location that is known as a restaurant graveyard? You know, like a certain address that the ownership kept on changing that you can’t even keep track of anymore. You just pass by them day after day and at times you will notice that the signboard had changed but you are not so sure. After a while you don’t even bother to check them out thinking they will not last … just like the restaurants before them. But this one … maybe … just maybe … will outlast all of the rest before them. This restaurant will appeal to a lot people if they just stop and see what they have to offer. 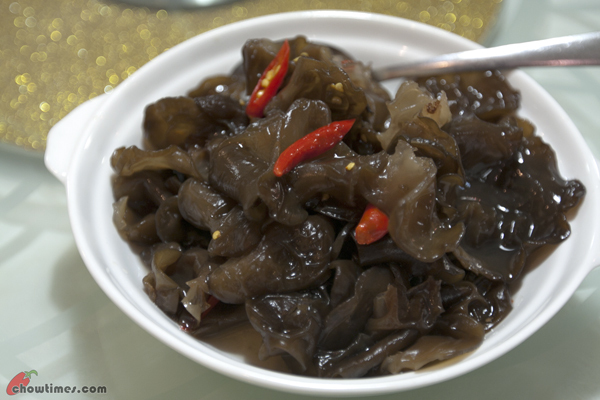 They will appeal to the foodies who yearn for authentic Chinese food. 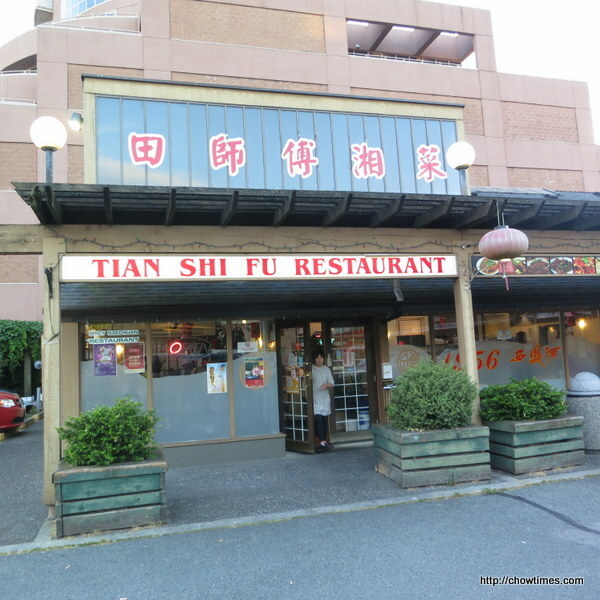 They will appeal even more to the geeky types who wants to try exotic food with uncommon ingredients … ingredients that you will not find anywhere in Vancouver but has to be shipped in specifically from China. 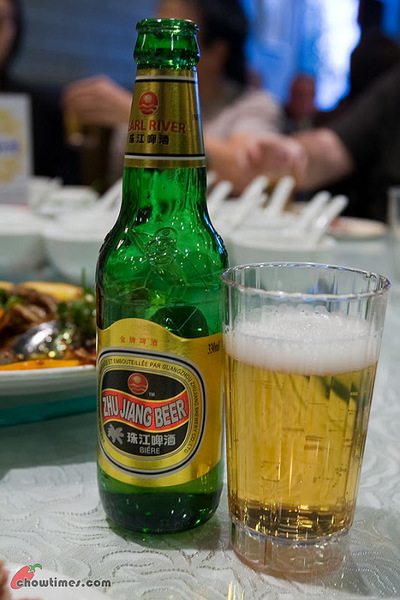 It gets more exciting when the ingredient is not even widely known in China. What else will excite the food geek? How about a chef who hand make soya milk even though he can take the easy way out and serve store bought ones, even premix? What do you think when everything costs just $8 maximum? With no corners cut — serving nothing but the best. Not sure about you … this one excites me. I was not even serious about going to this restaurant. It was a rough day at work and I was also hungry. Starting work at 5AM is no joke. Yeah, I had been keeping very early hours for some weeks now. I had to … especially when I am managing a project with EVERY team members located in either Europe or the American east coast. I had always been managing remote teams but I always had a part of the team with me in Vancouver. This one is different … for this project, none of the team members are here. So with starting work at 5AM without proper breakfast (too early to eat) and by 11AM it really felt like I had not eaten at 2PM for normal folks. I was famished … and I just needed to go away from the desk and decompress. As usual when I wanted to get away, I get into the car and drive along Kingsway westward. I stopped by the section between Joyce and Tyne. It was quite a random choice really. I was only taken in by the banner outside the restaurant which says $2.95 – $7.95 lunch special. 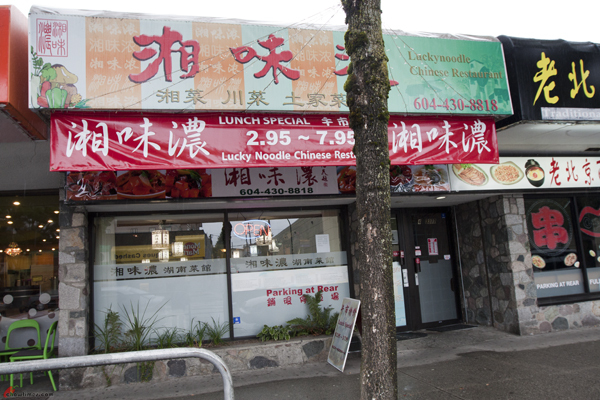 I was not pinning a lot of hope on a restaurant called Luckynoodle — a very unimaginative name. 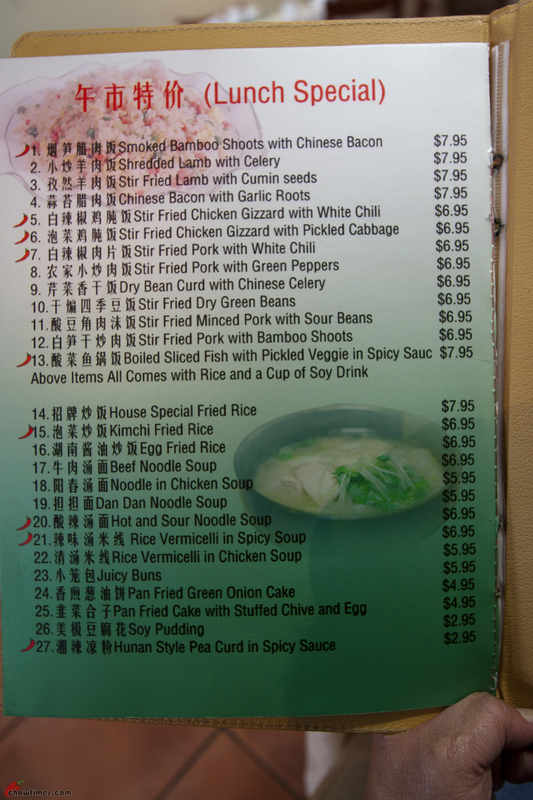 The menu was very interesting (click on image to show readable version). I was definitely impressed with the selection and the price to match. There are 27 items in all and true enough there is a couple of $2.95 lunch specials too. It was the $7 and $8 lunch specials that appeals to me. Just look at them … white chili, gizzard, lamb, cumin, bamboo shoots, chinese bacon, garlic roots … some of my favourite kind of ingredients. 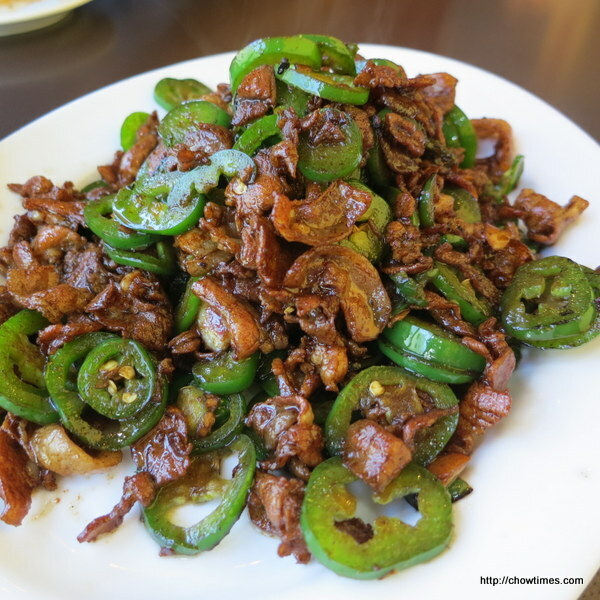 During that visit, I ordered the Stir Fried Gizzard with White Chili and without me knowing, I was given the Stir Fried Pork with Green Peppers. There was a breakdown in communication and the waiter was telling me that the green peppers were white chili. I had always wanted to find out more about white chili ever since the 8GTCC Hunan in Alvin Garden. It was super hot … and here the green pepper was also super hot. Super awesome! It was a revelation to me. This is a great restaurant because it is exactly the kind of food I dig. I did not have my camera that day because I wasn’t planning on blogging. I told myself that I will bring Suanne here the next time … and I did. Just two days later. Luckynoodle is such an unfortunate name because it does not do justice to what they serve. 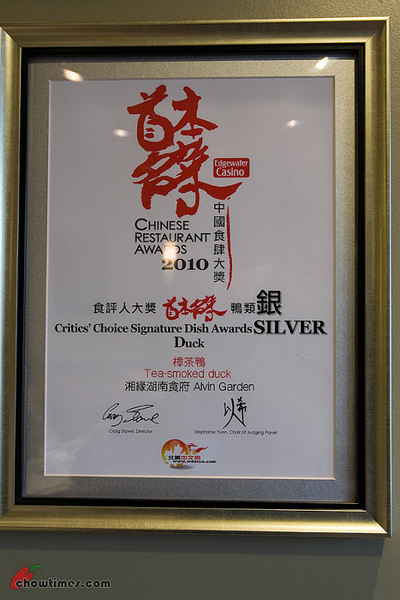 It is as we learned later a Hunan cuisine restaurant … and they are in direct competition with Alvin Garden. This time, we were there for lunch because I wanted to write about their lunch special. The waitress who attended to us this time spoke good English and was extremely helpful. I had a great time pouring over their menu. I wanted to share the menu with you and so I asked for permission to take pictures of their menu. Normally if it is just a page or two, I’ll just steal a shot or I’ll get their takeout menu. Takeout menu are OK because they are more public. This one, I need to ask for permission. Obviously, she asked us why and who we are. So I fished out our name card which has that red chili chowtimes logo on it. The moment she saw that logo, she said, “Oh I know you … Ben and Suanne?”. LOL! She said she had been reading our blog and said she was hoping we would visit someday. She remembers very clearly us writing about the previous-previous owner of this location. Back 1 year ago it was the Hu’s Chinese Restaurant (blog post here). Hu’s closed and then another restaurant took over and that even closed shortly after. Luckynoodle was opened just since April 2010. So they are new. That is why I started this blog post talking about this location as a restaurant graveyard. The restaurant next door was a new restaurant just about four short months ago. The 8GTCC team went there for dinner when it was newly opened (blog post here) and now, it is some other restaurant. Like I said, this is a restaurant graveyard. 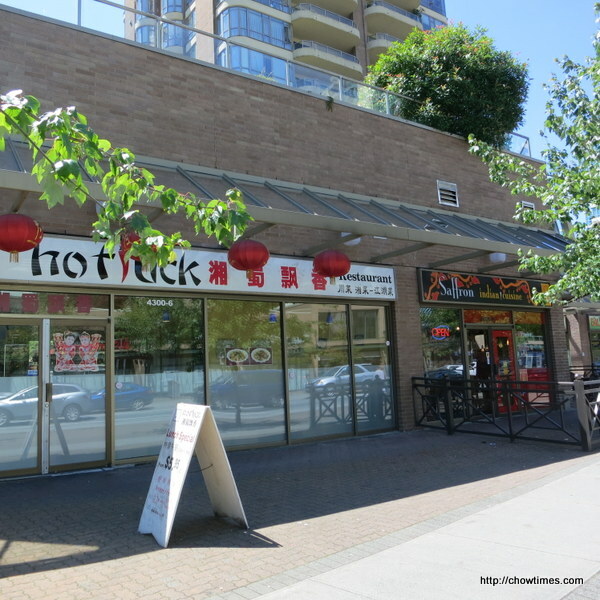 And I hate to see this fine Lucknoodle restaurant going the same way too. I hope they will break that spell. And there is a big chance they will. Here is the introduction to the restaurant. I can’t read a word but I am hoping one of you would be kind enough to translate it for me. As I remember in my childhood, people in our village always love to have guests. Especially when there’s a celebrations or a wedding, people will gather and set up a food feast for everyone; as usual, there’s always a few large bowl of wine sitting on each table, guests will enjoy it with all the happiness while they are sweating because of spicy food. Even time flies by years later, I can still remember clearly about everything of this feast. Anyway, the man with the wok is called Raymond. The waitress introduced Raymond to us because we were beginning to ask several technical question which she can’t handle. A bit of Raymond’s background as he told us … he is a chef from Jiangsu. He is formally trained in a Culinary school where he studied the eight great traditions of Chinese cuisine and he majors in Sichuan cuisine. Although he is a Sichuan trained, he decided to open a Hunan restaurant instead. This is because his si-fu is a Hunan specialist and he learned a lot from the master. Fantastic menu. 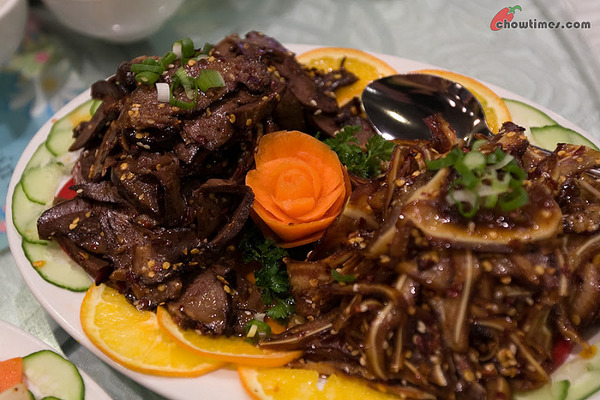 If you are a fan of Hunan food, you need to scour every page of the menu above. While we wanted to try the larger servings, Suanne and I decided that we should just go with the Lunch Special because this is what we are here for. We intend to write about this … and bring a larger group of people to try their dinner menu. That is about the only proper way to do it. This has to be done in a larger setting … with a big selection of dishes! Frankly, the dishes above is on the high side. I think the reason is because he has some unique ingredients which I will tell you later on. Without hesitation, I ordered the Sitr Fried Chicken Gizzard with White Chili which is $6.95 in the lunch special. Super marvelous. 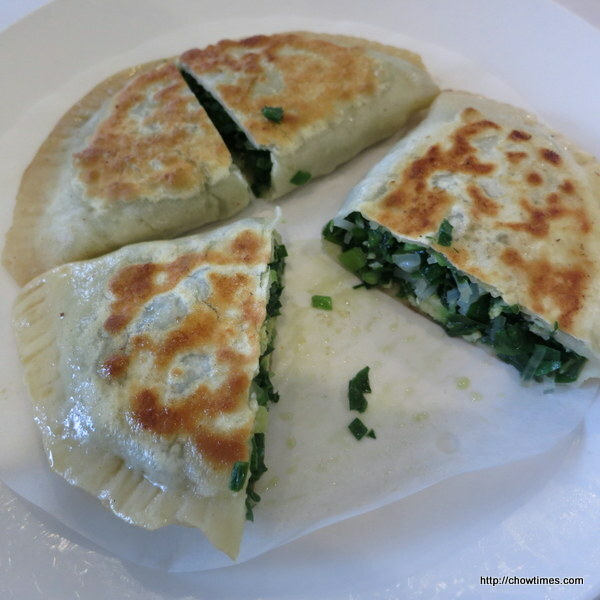 It is crispy and crunchy … it is moist and jup was just perfect. It is spicy but it wasn’t really hot. I spoke too soon and now I am stumped as to what to do. 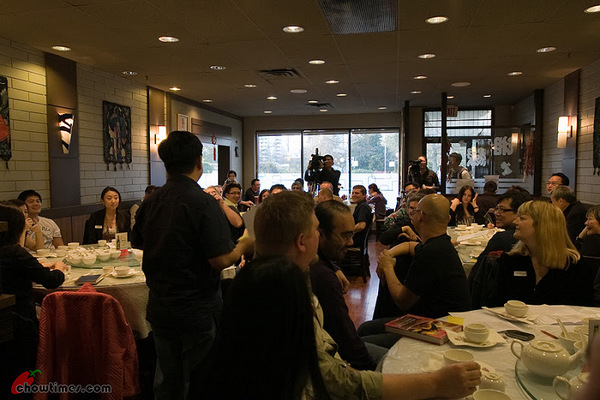 I declared here that I wanted to start an exploration of the so-called The Eight Great Traditions of Chinese Cuisine and invited our readers to join us in the journey. And now we have 17 parties who had indicated they would be interested. I mean this is great but it also mean that there are more expectations to meet! LOL! Good thing, there are a few experienced foodies I can count on to help pull this off. I am going to need till the end of this week to put on my thinking caps. For those of you who had responded, I’ll draft some preliminary plans and let you know what they look like. Anyway, this blog post is about Alvin Garden that we went to a couple of weeks ago. Alvin Garden had gained a lot of good reputation. The name itself sounded so western but this is a top notch Chinese restaurant. They are one of the candidates for the 8GTCC (my acronym for the Eight Great Traditions of Chinese Cuisine) as they serve Hunan cuisine. 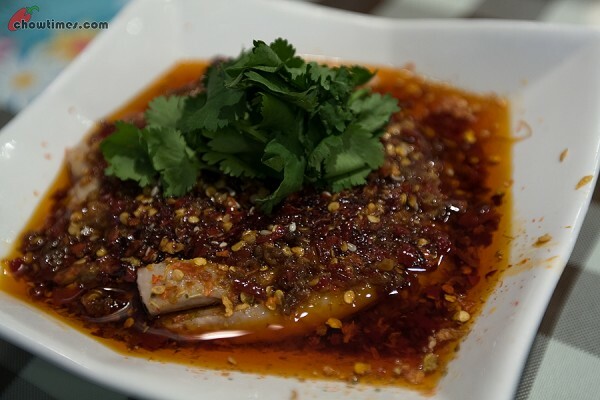 Hunan cuisine is also known as Xiang cuisine and is characterized by its spiciness. 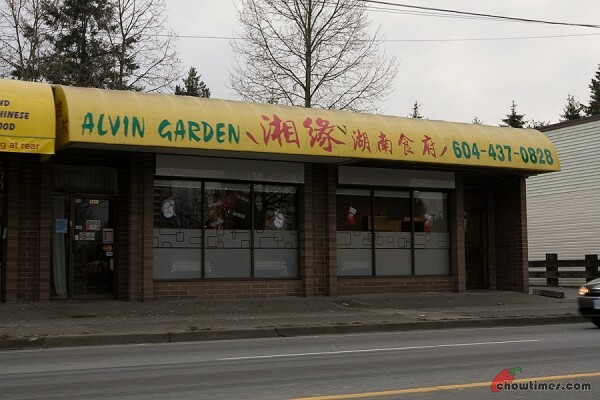 Alvin Garden is located on Imperial and Nelson in Burnaby. We were there during the Christmas holidays. I was at work and bored to death as hardly anyone was in the office during that entire week. So, I asked Suanne and the boys to come down to Burnaby for lunch. The interior of Alvin Garden is very clean and pleasant. 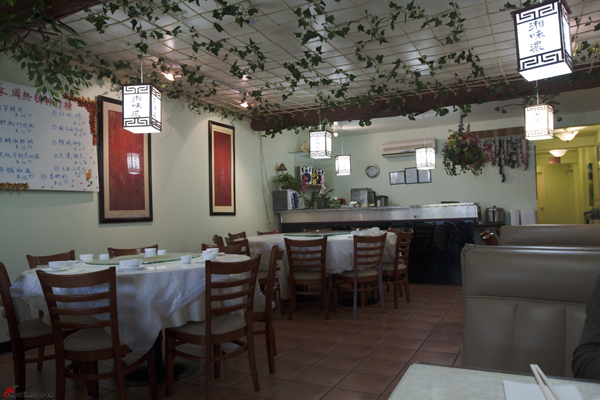 It is very well maintained quite unlike many Chinese restaurants. I guess it must have been the holidays that there were only a few tables which were taken up by customers. They have good lunch specials. I had that several times before and they are pretty good. As you can see, it is just $7 or $8 only. They are simple dishes … mostly one type of stir fry with rice. We ordered separate dishes because we wanted to try some of the better dishes. 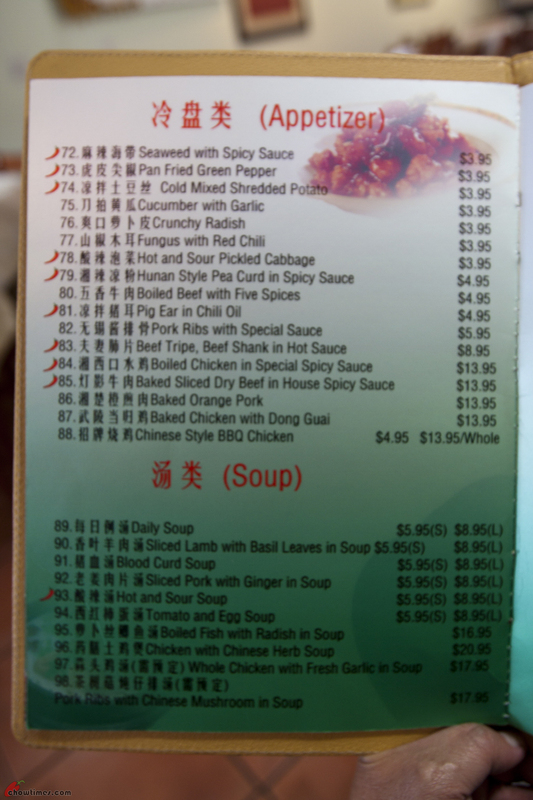 Since Hunan cuisine is spicy, we ordered mostly spicy ones. The waitress asked how spicy we wanted the food cooked and we said “very spicy”. I can see from her eyes that she wanted to dissuade us — sort of like thinking we will not be able to stand spiciness. We stayed the course and smiled … “very spicy please” with both Arkensen and Nanzaro nodding their heads in unison. We ended up regretting it. 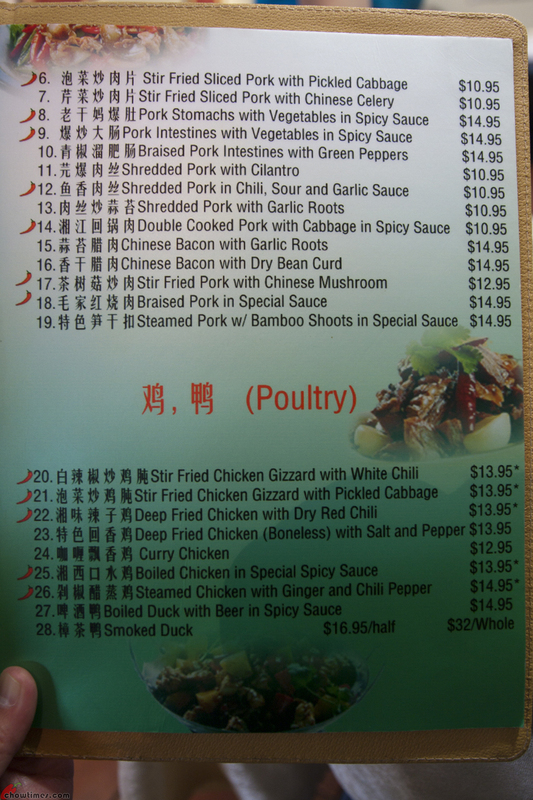 The menu for the dish above is simply called the Spicy Flavoured Chicken. They have a nice name for this in Chinese. 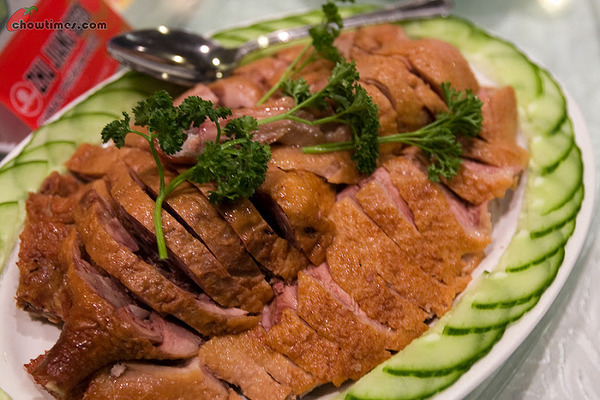 It is translated to something like “saliva dripping chicken” or “drooling chicken” or “mouth watering chicken”! This is not for everyone especially those who are very health conscious. Look at the film of oil! And look at the lethally hot chili seeds too! 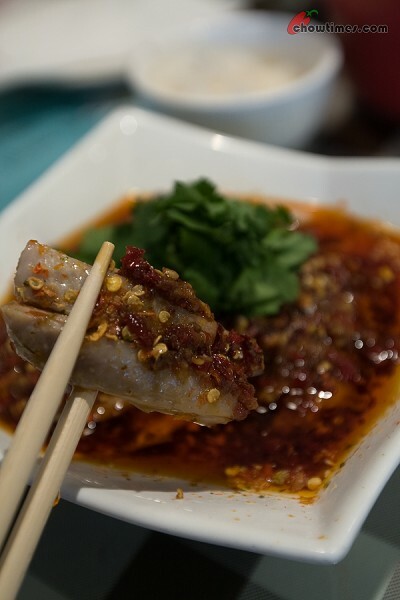 This is by far our best dish we tried but is so very spicy that our lips and tongue got numb from eating it. But we did finish this off completely. I did a lot of thinking over the last week. All this was sparked off by the long comment that Dyn made which I made it into a blog post called Why Do Whites Accept Japanese and Thai Cuisine Over Other Cuisine. I posted it because it was controversial and thought our readers would love to read of it. However, little did I expect that Dyn’s notes sparked off a series of very long, thought provoking comments from other readers. 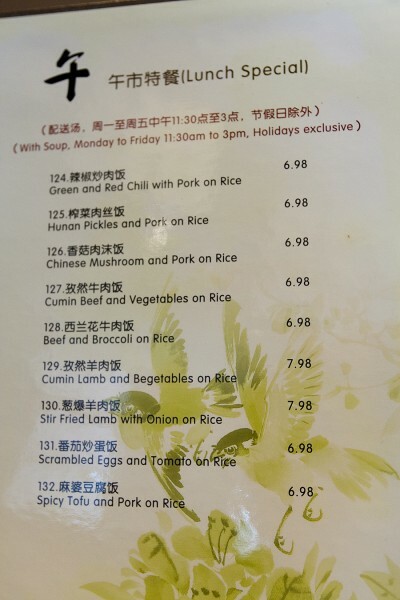 That got me thinking over a few comments made regarding bad translations in Chinese Menu that puts off diners who are not familiar with the cuisine. So I did some more research on the internet and in one discussion forum, there was a discussion how a western menu differs from a Chinese one. 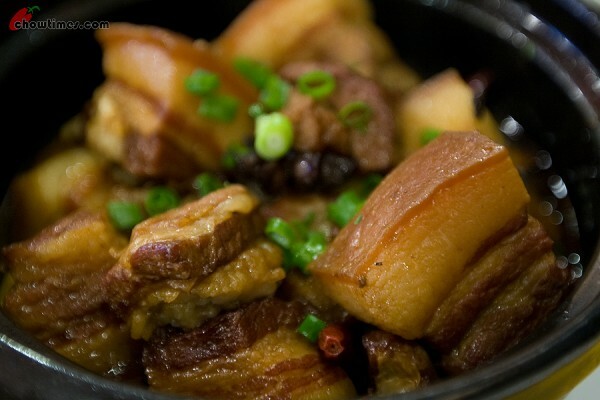 In western menu, the dishes often describes the ingredients and the way it is prepared. 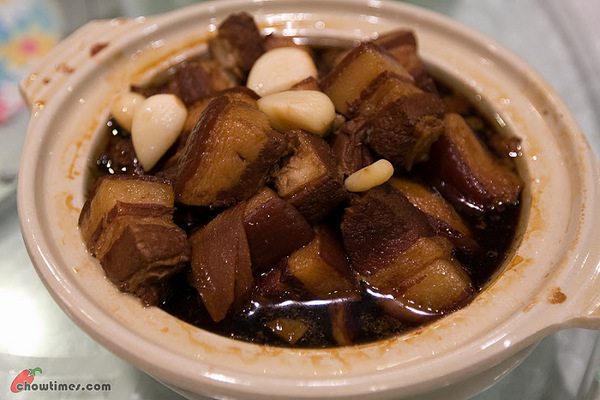 On the other hand, with Chinese dishes, you will not always be able to picture the dish if you are not familiar with it. 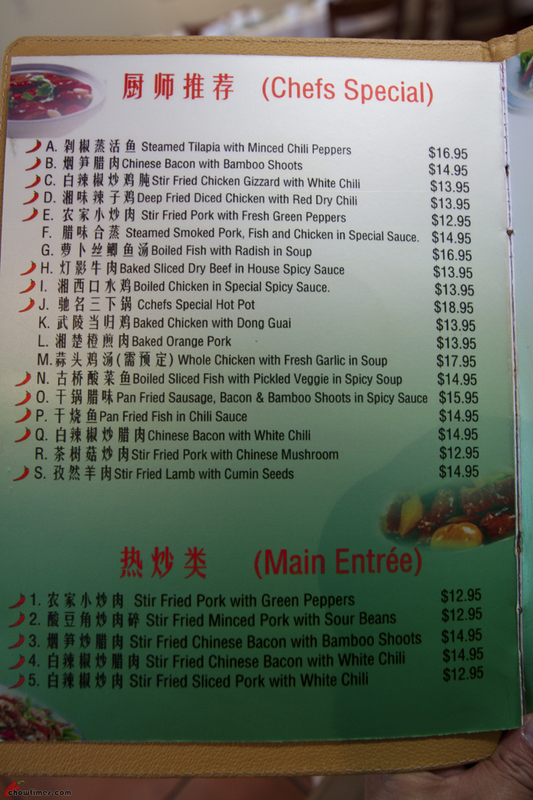 Traditionally, many Chinese dishes have a 4-word (syllable) names and some of the names have no relevance to the dish. Sometimes they even sound poetic when spoken. Anyway, Suanne and I thought that over the weekend we just go and check out two funny sounding menu items that we know of. These are from our past restaurant visits that our readers had pointed out which we did not realize. The plan was just to go into these restaurants and order just this ONE item and do a review of them. Suanne was kind of “mm hoe yee see” going in and ordering one item for the two of us. Taking pictures in a restaurant already catches attention but going in and ordering ONE specific dish, taking pictures and then leave quickly sure got the attention of the restaurant. But that is what we did. We had been trying to look for the other Vietnamese restaurant that serves 7 Courses of Beef (Bo 7 Mon). 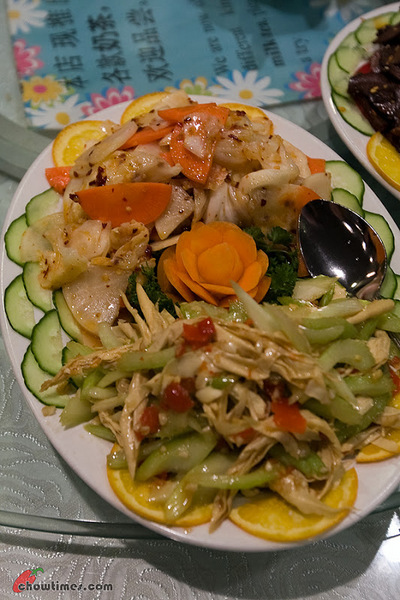 The first time we had the this Vietnamese wedding specialty was at the Tamarind Tree in Seattle which was one of the more memorable meals that we ever had. 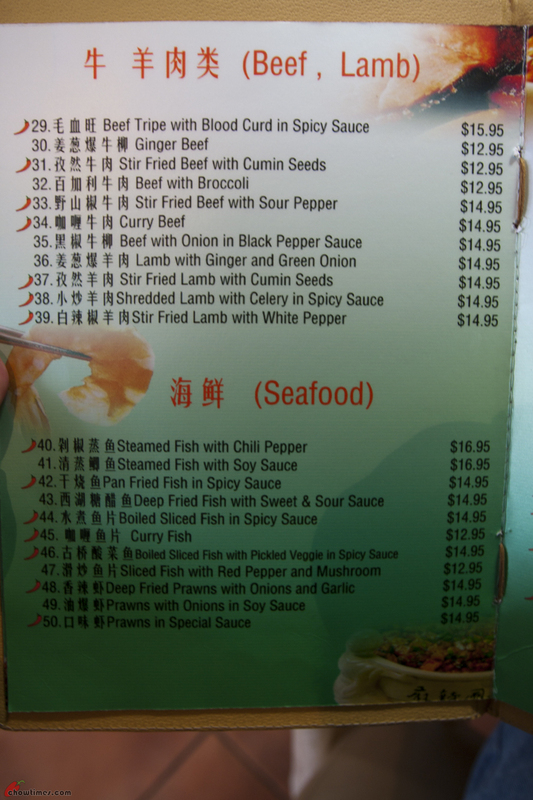 In Vancouver, I heard that there are only two Vietnamese restaurants to serves this high end Vietnamese meal. The one that we had been to was Song Huong. For some reason I thought that this other one was Nha Trang on Broadway and Fraser. So we took a long drive from Richmond with high expectations for a good meal. When we got there, we asked if they had 7-courses of beef and they confirmed yes. Just as we were about to get seated, they asked again what we are looking for and was duly told that they don’t have it! They just said “yes” without understanding what we were asking. Maybe they heard the word beef and thought we were asking for beef noodles. Thinking that I might have mistaken Nha Trang with another Vietnamese restaurants nearby, we left and drove around. We drove and drove and drove … and could not see any Vietnamese restaurant that looks it. So we ended up going to this randomly selected restaurant on Kingsway (near Joyce). 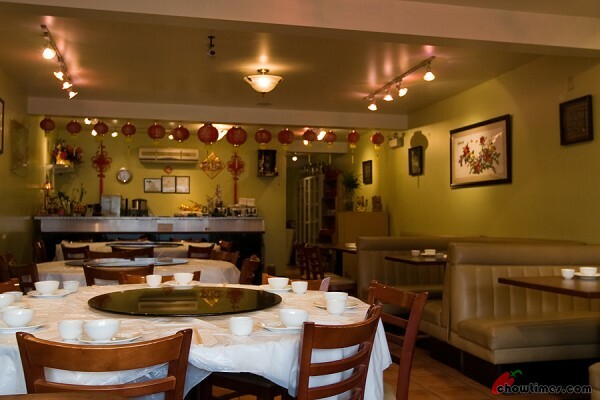 It is called Hu’s Chinese Restaurant and is located just next door to Popular Chinese Cuisine. The restaurant is quiet and empty. The tables and chairs are uncoordinated with traditional Chinese round tables mixed with wrap around cafeteria style tables. Frankly, we felt like turning back but everyone is already hungry. It did not get any better. When we got seated, the waitress who is dressed in loose sweat pants and sweat shirt delivered the tea pot to our tables while chatting on the cordless phone. Moreover the tea pot had stains on the outside like it had been cleaned properly. We asked for it to be replaced. Checking their menu, they have pretty interesting items. 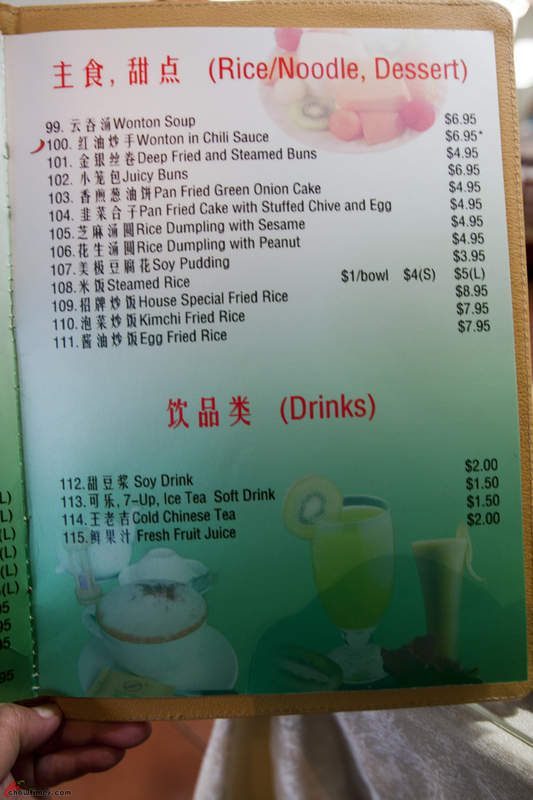 However, we did notice that they are priced higher than one would expect from such restaurants. 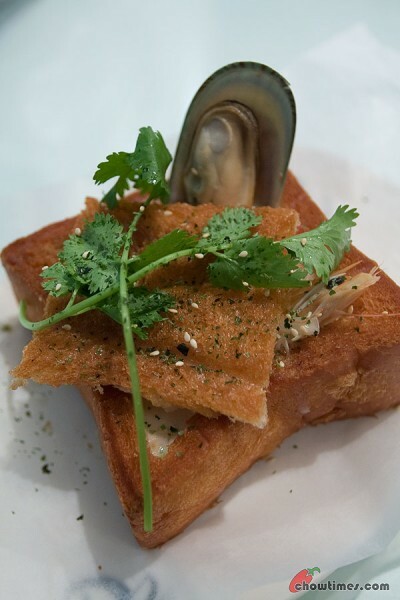 Most of their main dishes are $15 and up with most at the $20 range. 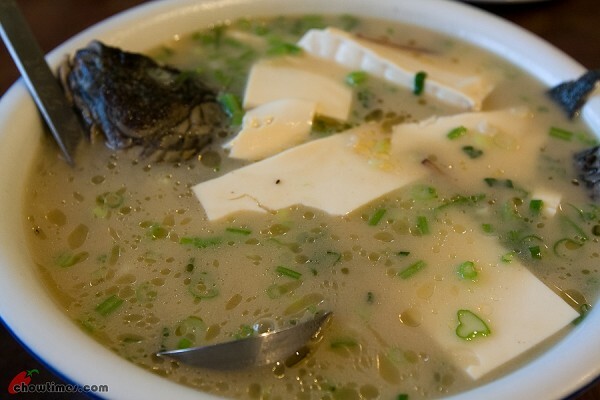 With the four of us dining, we decided to order three dishes … one soup and two main dishes as we usually do. Update 15-Nov-2009: Aroma Garden is now closed. In its place is a hotpot restaurant. However, Aroma Garden has now moved to a new location 5 minutes walk away and is now known as Bushuair Restaurant. The menu in Bushuair Restaurant is identical to Aroma Garden. I … errr … get very excited easily. So you gotta learn how to look beyond my excitement while reading my blog. This is one more restaurant that really excites me. Bear with me OK? 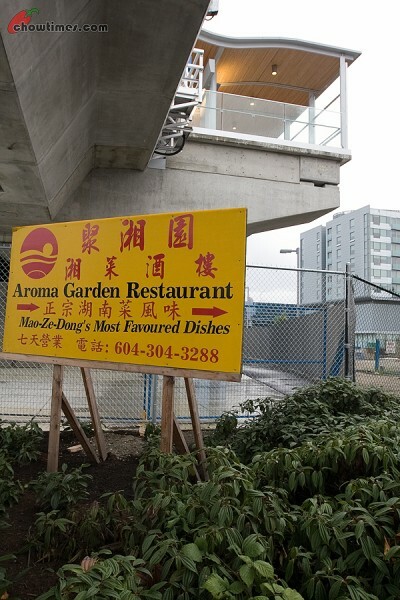 I was driving past the new Aberdeen Skytrain station on No 3 Road when I spotted this sign above — Mao-Ze-Dong’s Most Favoured Dishes. I am not sure about you … but for me, I am a true sucker for taglines like these. So, last weekend we went to check it out. We got confused. The sign outside by No 3 Road says that the restaurant name is Aroma Garden. 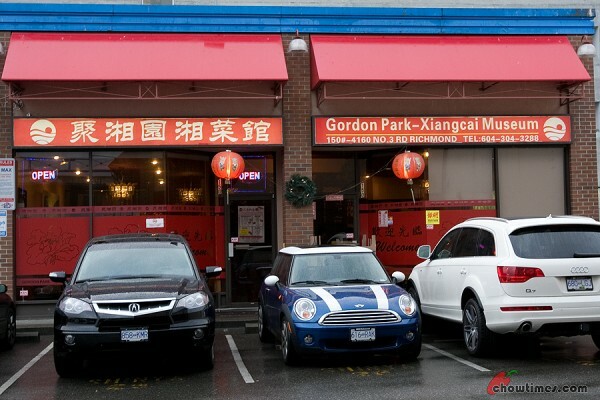 However, in this strip mall, there is only ONE restaurant with a sign that says “Gordon Park” and “Xiangcai Museum”. We had to walk out to the sign and match the Chinese characters. The Chinese characters matches but the English translation is downright different. What is this thing about “Xiangcai Museum” anyway? Anyone knows? Anyway, I am going to call this restaurant Aroma Garden based on the receipt we had. 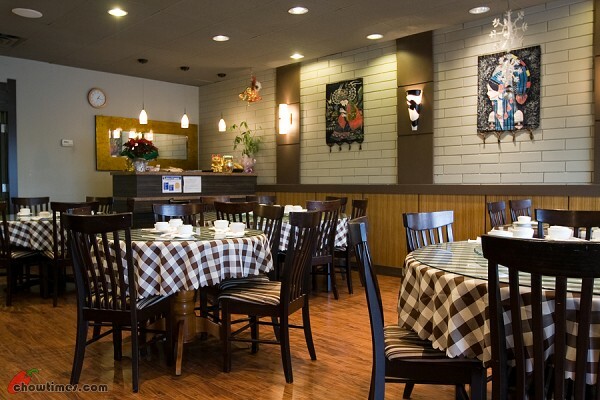 Aroma Garden is located just at the Aberdeen Skytrain station and tucked right at the back of the strip mall. You can’t see the restaurant from No 3 Road. You gotta drive in. Parking is at a premium here during dinner time. Aroma Garden is a very Chinesey restaurant. You will likely find mostly Mainland Chinese customers speaking Mandarin here. 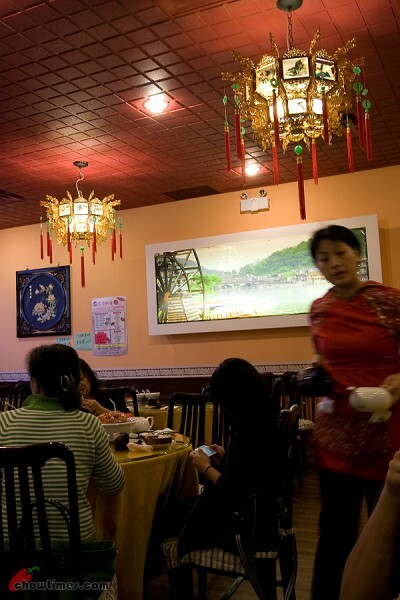 I like the decor here which looks authentic Chinese with lanterns and wooden window frames. This is a Hunan cuisine restaurant which explains the Mao Zee Dong reference. Mao, you see, is Hunanese. I am almost a Hunan race. Bet you don’t know that. I belong to the Hu-man race. 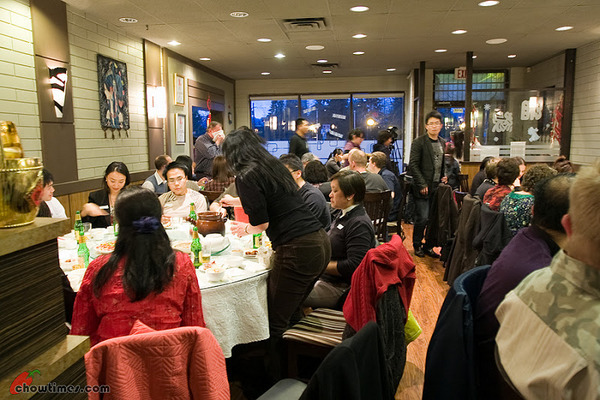 The restaurant is filled with the distinctive aroma of Sichuan peppers. Their menu is a colorful catalogue with pictures which helps us decide our choices. This helps especially when their English translations are horrendous. 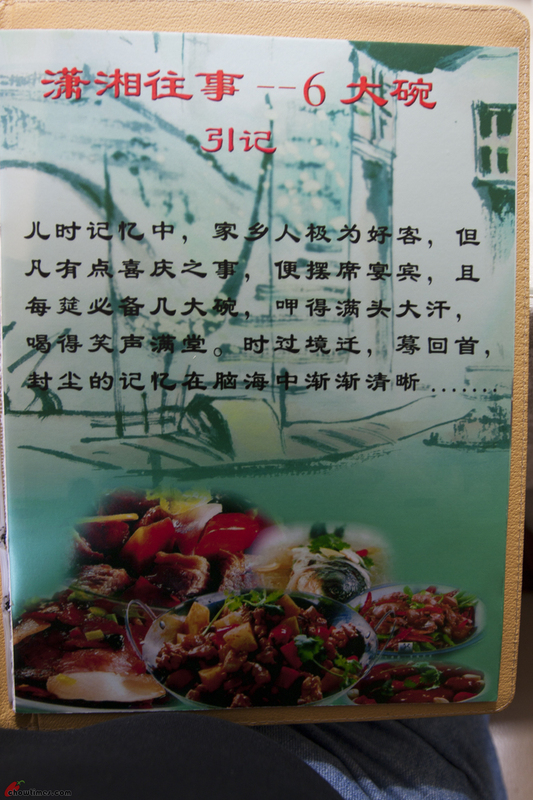 The first thing we try to look for in the menu is any reference to Mao’s favourite dishes. 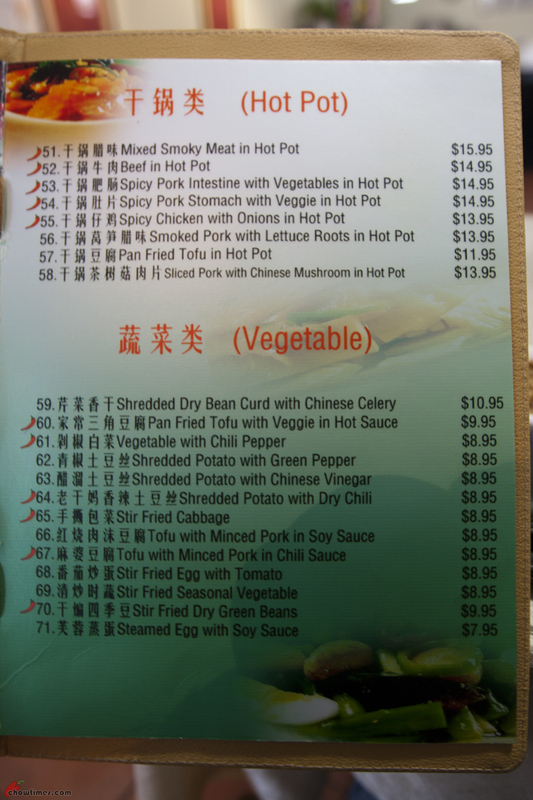 We only found one that says “Mao Pork Braised in Brown Sauce”. This is $10.